Directions: From Denver or Castle Rock take Exit 182 (Wolfensberger/Wilcox) off of I-25. 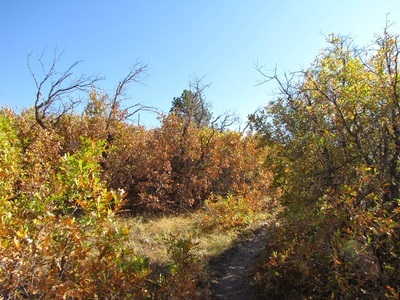 Follow Wilcox east for about .6 miles. Make a left on 2nd Street, a right onto Gilbert Street, a left on South Street, and a right on Oman Street to the trailhead and parking area on your right. 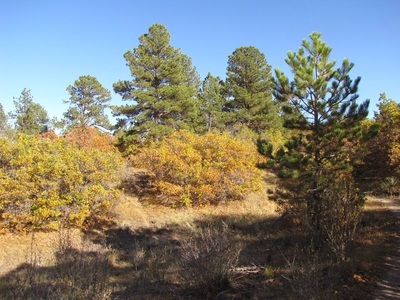 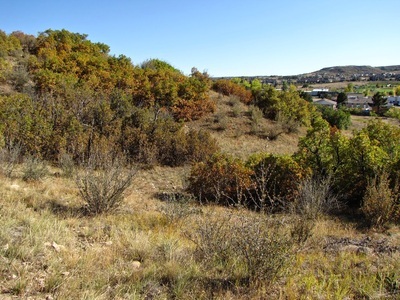 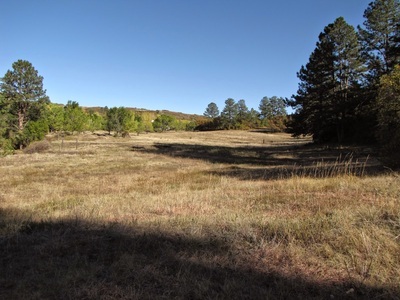 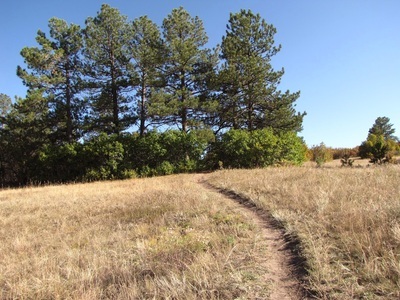 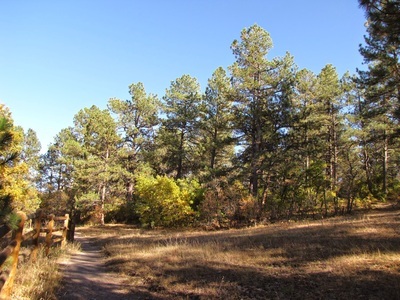 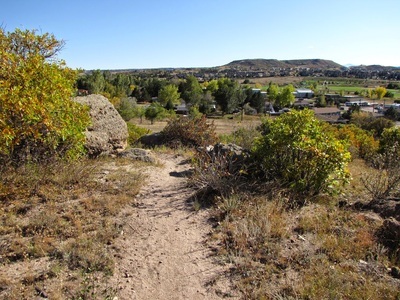 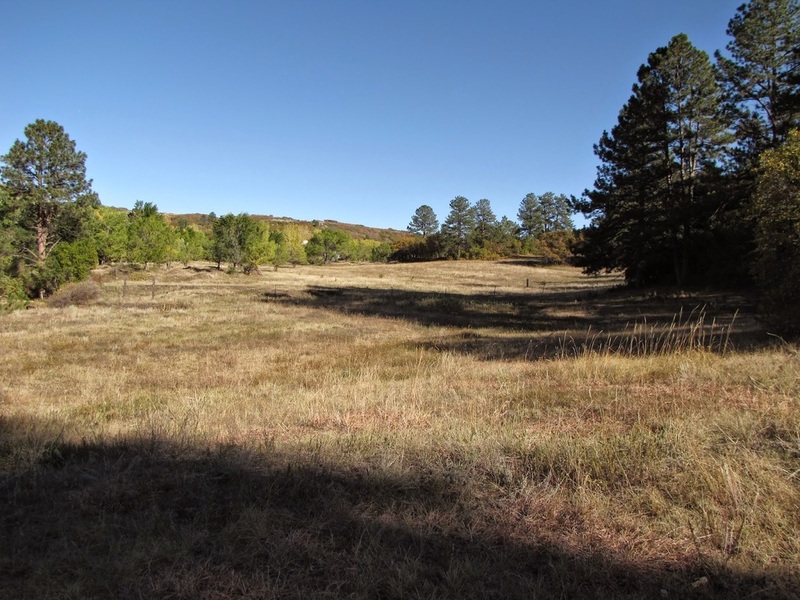 Memmen Ridge is a small but pretty natural area adjacent to the South Ridge Elementary School. 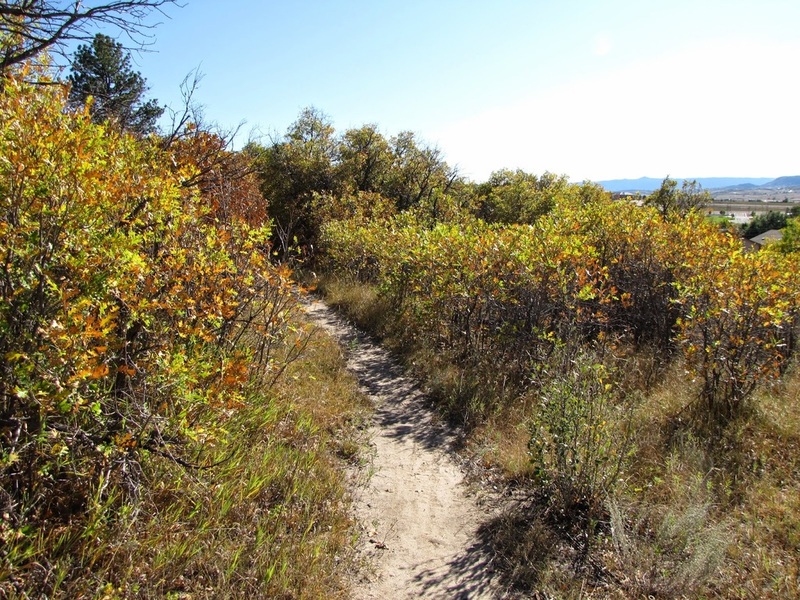 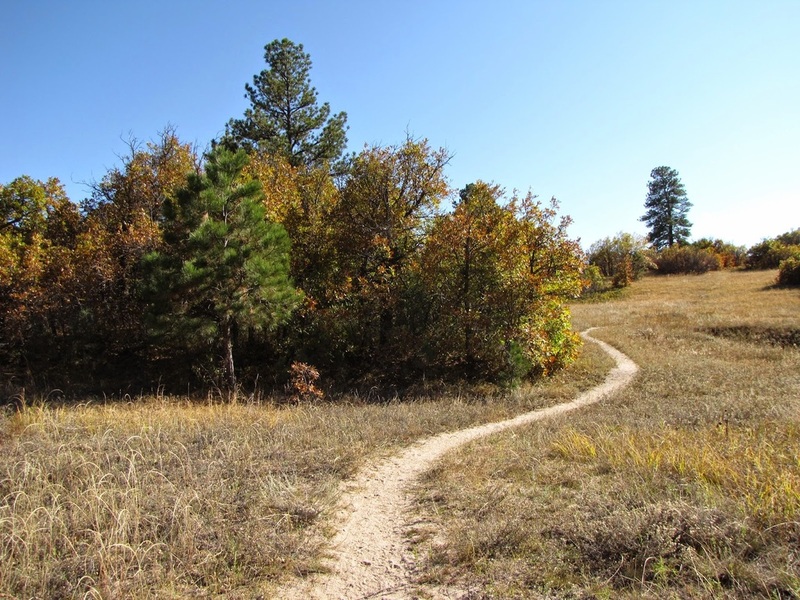 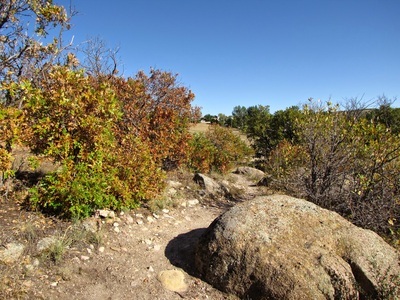 There is a 1.9 mi loop trail with a cut off to make it a shorter hike. 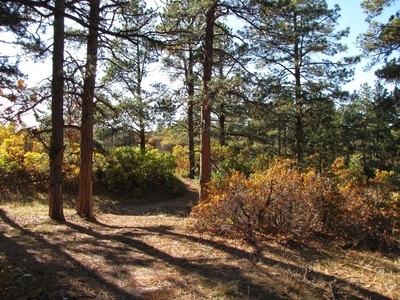 The trail itself weaves through a gamble oak and evergreen forest. 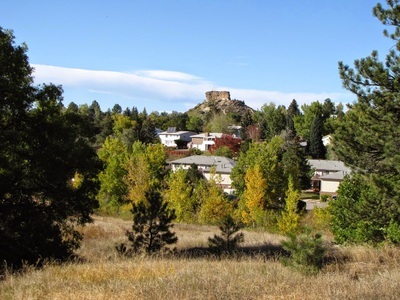 Views from the ridge include, "Castle Rock," Mt. 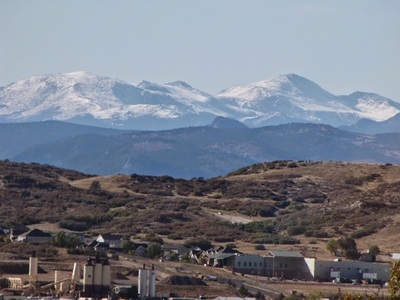 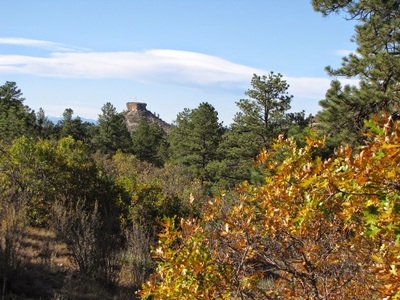 Evans, Devil's Head, and the Town of Castle Rock. 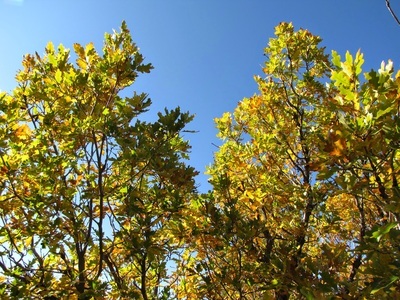 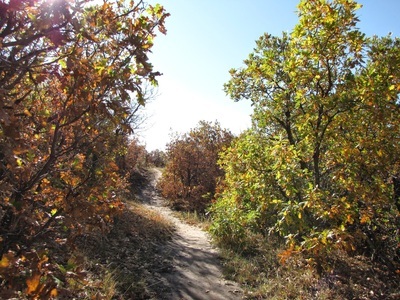 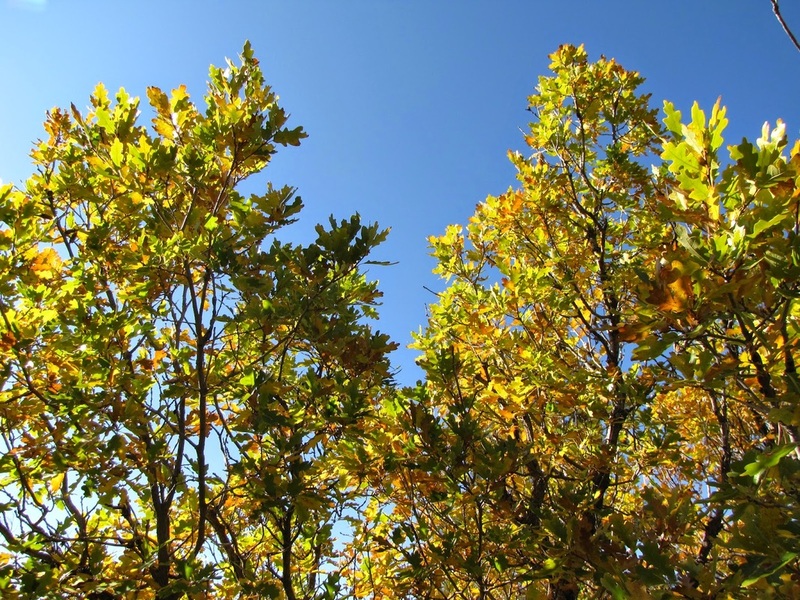 The hike is particularly pretty in the fall when the oaks turn yellow, red, and orange.